Delivery on Monday, 29 April: Order today until 12:00. The synergy of carrots, orange blossoms and coconut crank up the skin's regeneration process. The skin is sufficiently supplied with moisture and nutrients. Carrot extract possesses a high content of antioxidants that counteract the signs of skin aging. 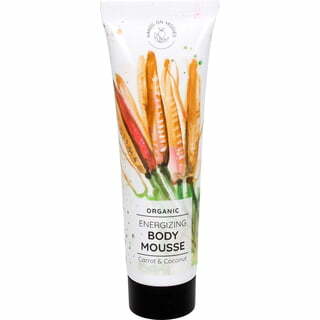 The Energizing Shower Gel ensures a freshness boost first thing in the morning while the Body Mousse melts into the skin to care for it and provides a boost in moisture.